What better way to celebrate moving into a new home than with this lovely House Papercut? It will also make the perfect housewarming gift for friends and family. 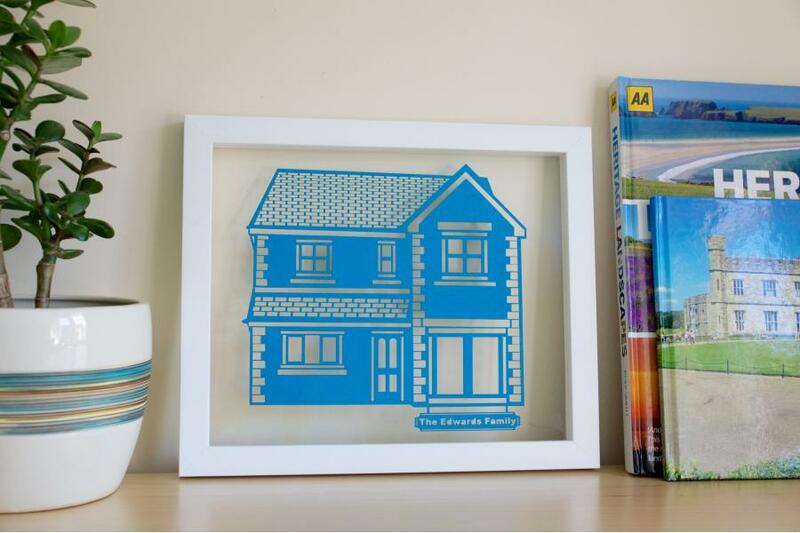 Simply send us a photograph of your house (or the recipient’s house) and we will make a bespoke papercut of it. 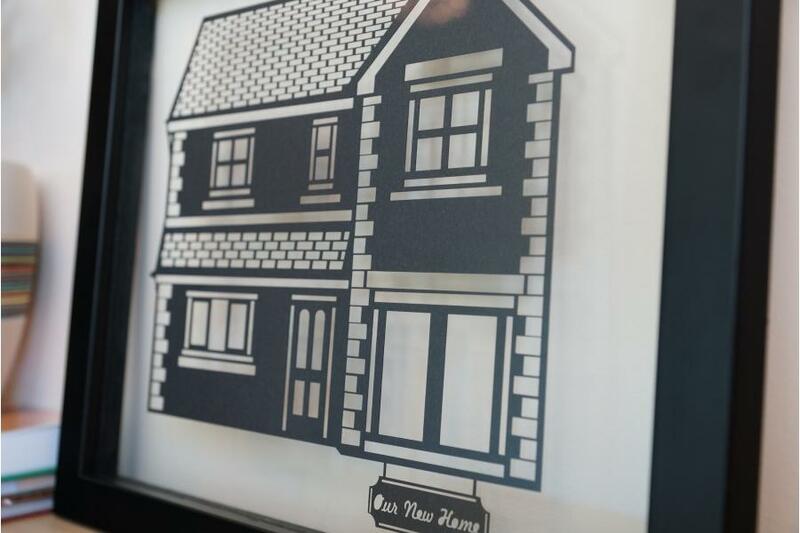 Our personalised House Papercuts are handmade from high quality paper. 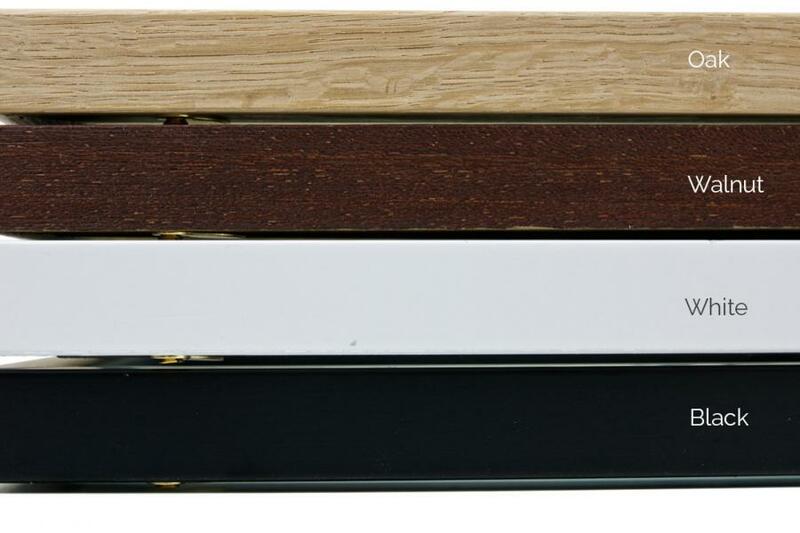 They are available in a wide range of colours, which you can choose from above. 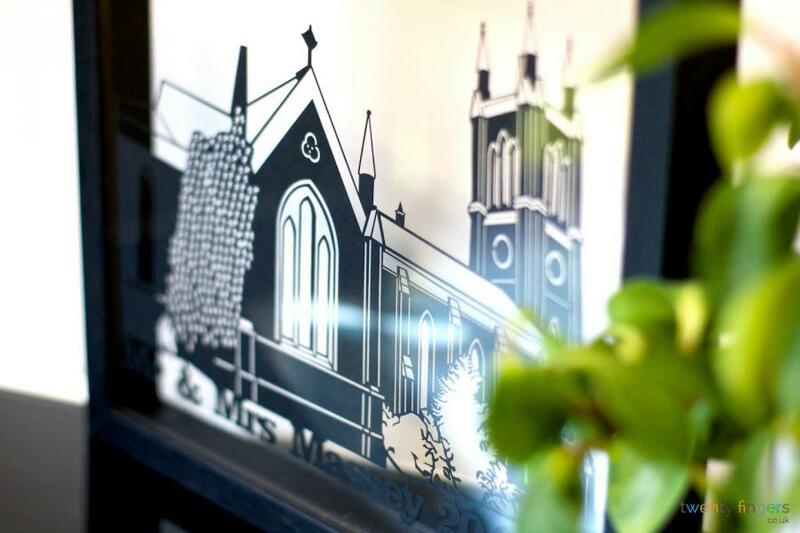 For an additional cost of £29.00, we will frame your House Papercut. 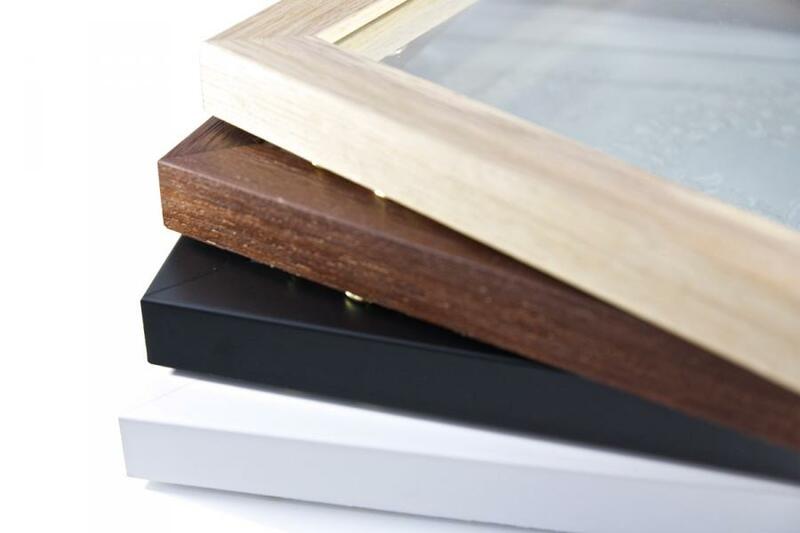 The frames are all handmade by our local framers in Buckinghamshire and come in a number of different finishes including: black, white, oak and walnut. 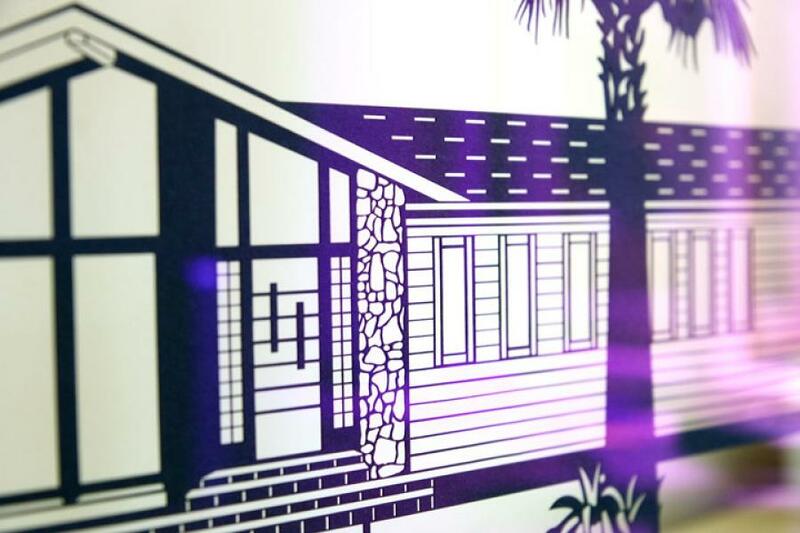 Why is the House Papercut such a great gift? 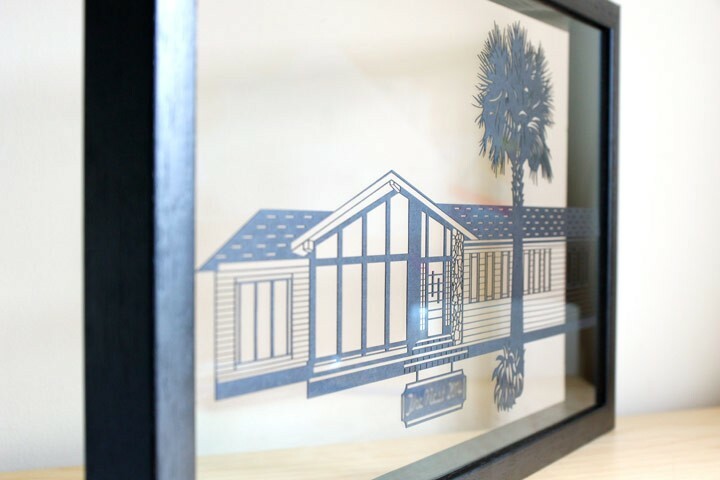 Ideal for all occasions – Whether you are celebrating a birthday, anniversary, wedding or housewarming, the House Papercut will make a lovely gift. 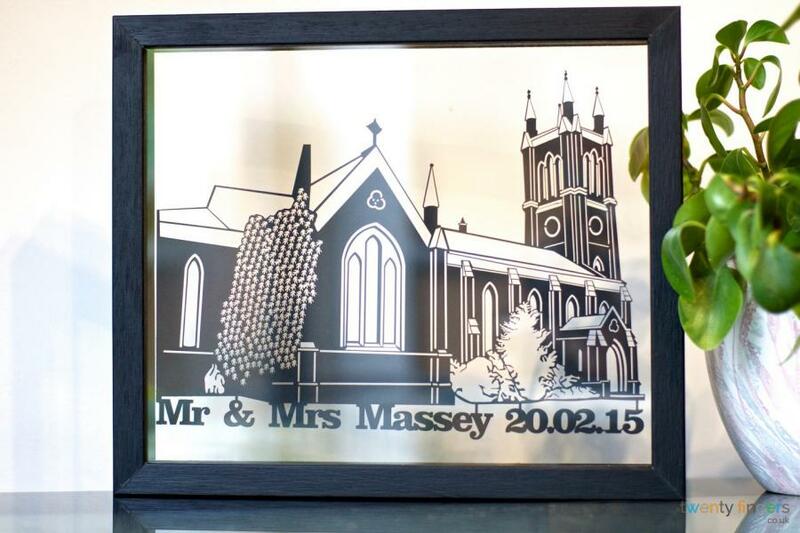 Personalised present – A personalised home portrait will make the perfect family gift, as it is something the recipient will treasure forever. 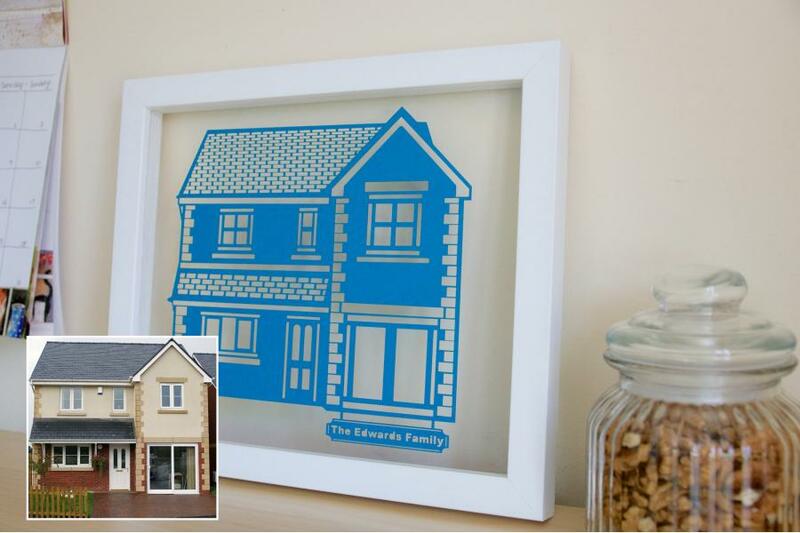 There will be no need to worry that someone else will have bought the same present as you, as the House Papercut is handmade and unique. Enhance home décor – If your friends or family have just moved into a new house, it is likely they will need a helping hand in the decoration department. Present them with a home portrait that they can hang proudly on their wall. 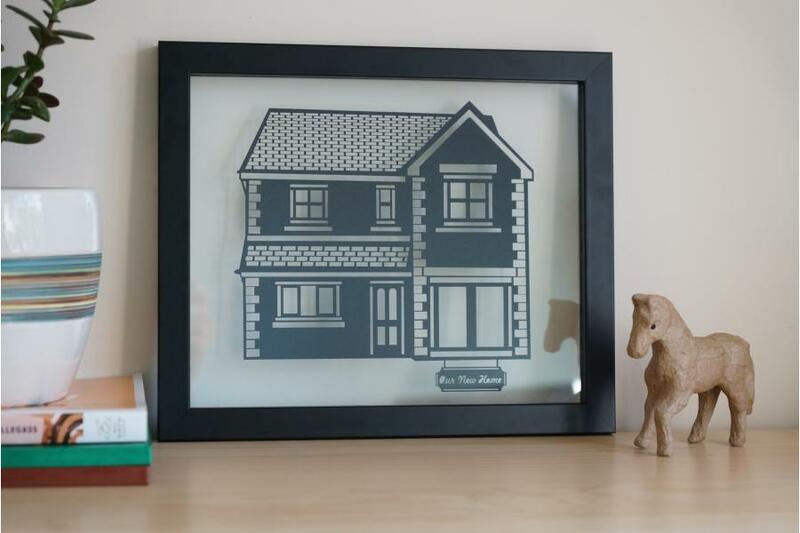 House papercut can be ordered either framed or unframed. Unframed papercuts are cut from a single sheet of 21 x 30cm (A4). If you choose to have your papercut framed in one of our gorgeous hand made ‘“floating frames” it will be mounted between two sheets of glass and the frames are available in white, black, walnut effect and real unfinished oak. Frame inner (visible) size is 10" x 12" and the outer size is 11.5" x 13.5". These frames are suitable for wall hanging or as freestanding artwork. Lana was a pleasure to work with, and the end result was great! !